After almost half a decade absence, pianist Yoko Miwa is back in the studio. 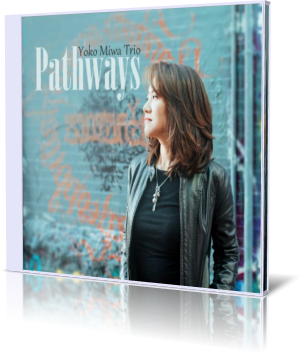 Pathways (Ocean Blue Tear Music, 2017) exhibits the cohesion of her long-standing trio. A balancing act of four original songs and four covers, Pathways is a stand-out for piano trio music. 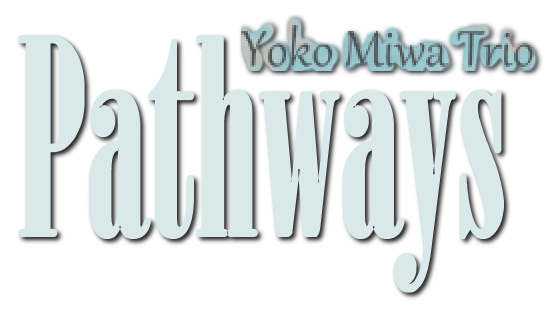 Instead of revisiting the same standards many other trios have covered, Miwa opts for jazz improvisations of two pop/rock songs, two Marc Johnson compositions and her originals. The result is a sound that’s fresh, exciting and full of vigor. Highlights include Johnson’s “Log O’Rhythm” and “After You,” Miwa’s “Lickety Split” and “The Goalkeeper,” and Joni Mitchell’s “Court and Spark.” The tracks range from about six and a half minutes to nearly 12. That amount of space allows for listeners to engage the familiar themes of the covers and to completely digest each track. The musicians stretch out plenty, with no one player overpowering another. The trio has been together 15 years. And despite their studio hiatus, they remained busy, playing live gigs on a consistent basis. That enables the musicians to become more masterful of their music, while also tweaking it from set to set. Miwa is a familiar artist at Jazz at Lincoln Center, where she has played on “Marian McPartland and Friends” special concert during the Coca-Cola Generations in Jazz Festival, and the annual Jazz and Leadership Workshop for the National Urban League’s Youth Summit. She has also performed or recorded with such notables as Slide Hampton, Arturo Sandoval, Jon Faddis, Esperanza Spalding, Terri Lyne Carrington, Kevin Mahogany and more. The Yoko Miwa Trio is based in Boston.